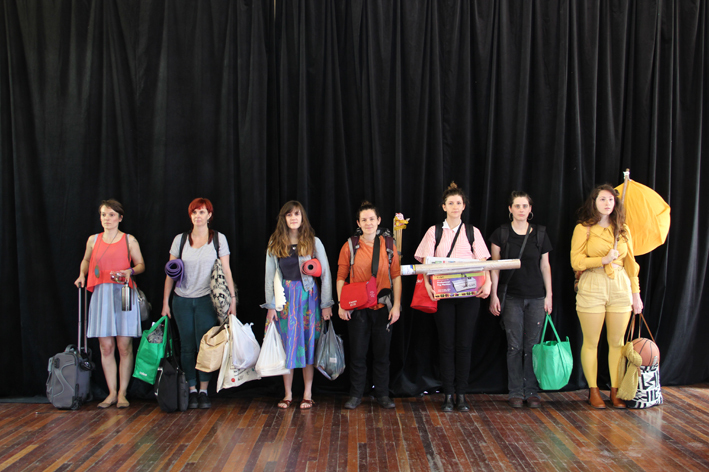 Over a 24 hour lock-down period, seven artists (In the Mean Time projects and The Birds ARI: Alica Bryson-Haynes, Ria Green, Lizzy Sampson, Claire Robertson, Shae Rooke, Lisa Frankland and Melissa Matveyeff) undertook Boot Camp: Future, a collaborative arts project and exhibition. Boot Camp: Future saw the artists undertake collaborative exchanges, sharing ideas and creating works based on the theme of ”The Future’ ending in an exhibition at the Bluestone Arts Venue. A Futurist and Tarot reader were consulted and asked a series of questions, which informed the project throughout the second half of the workshop. Read a review of Boot Camp: Future here.